I felt that the words above the window were speaking directly to me. I couldn’t help but pull over while I was on one of my noontime foraging expeditions on the east side of Ozark, Missouri. 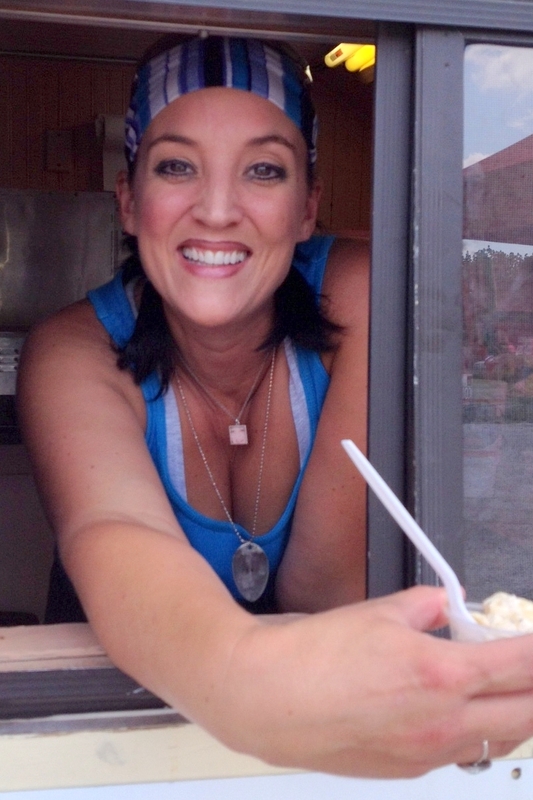 Set up under a shade tree at the corner of Missouri highways 14 and 125 in Sparta, about eight miles east of the Ozark WalMart and US 65, Gjetta Moss has just started her second month serving delicious lunches and suppers. I keep coming back for more. Today I had lemonade from just-squeezed lemons, which paired perfectly with a BLT and peppery coleslaw. Despite a couple of college degrees and years of restaurant experience, Gjetta hasn’t found the job she needs. She’s trying the time-honored bootstrap method of making her way in the world, keeping the overhead low and the quality of the food as high as she can make it, served with a big smile. 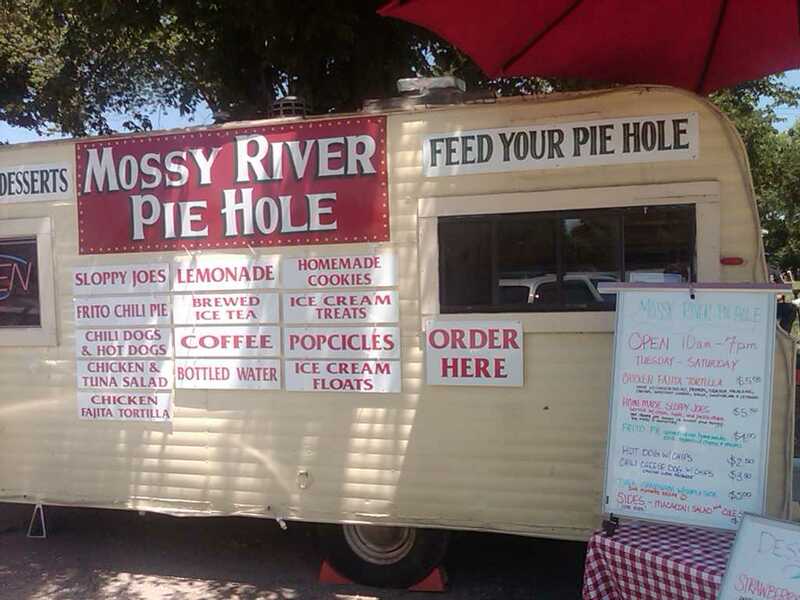 Posted in Ozarks, Ozarks arts and culture, Ozarks economy, tourism, Uncategorized and tagged Gjetta Moss, Mossy River, Ozarks food, Sparta, street food. Bookmark the permalink. Any place that has good pie gets my vote and business! Looks like my kinda’ eatin’! Sounds like a good reason to go on a little excursion! You always have been a pushover for good food! I can’t deny it! Wish you still ran a cafe nearby.